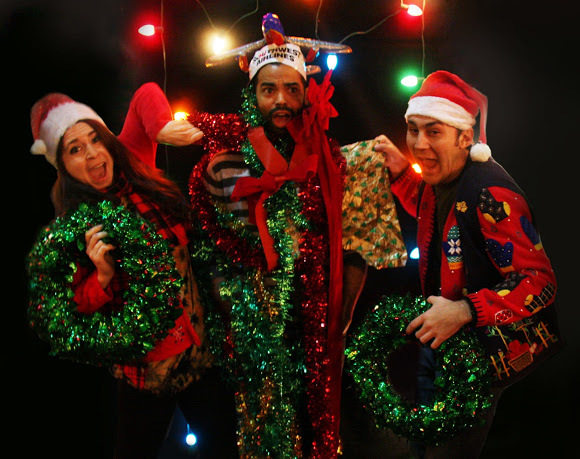 Fashion Herald: Ugly Holiday Sweater Party Alert! Ugly Holiday Sweater Party Alert! 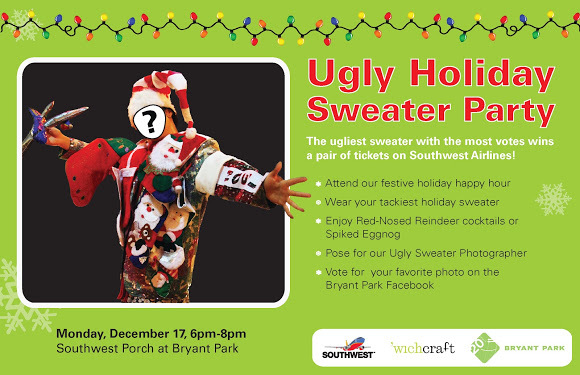 This is one ugly sweater party you don't want to miss, because the winning photo of a hideous holiday sweater gets a pair of tickets on Southwest Airlines! Also, I need to emphasize that there will be eggnog possibilities. Because this party is at Bryant Park's Southwest Porch, participants and viewers alike can partake of their Red-Nosed Reindeer cocktails or Spiced Eggnog. See you there next Monday night looking very ugly and very holiday!